One of my friends bought me the cutest plaque that reads "Some girls are born with glitter in their veins" and it's true. I love anything and everything that sparkles. 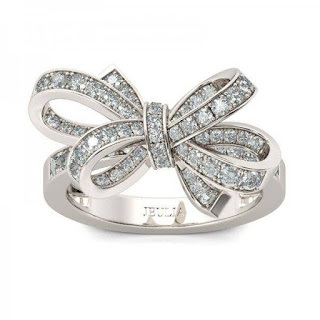 I was pretty excited to find Jeulia - they have designer rings at affordable prices. I went in to look at the jewelry at Jeulia's website--they truly have some magnificent pieces! The prices are not bad either! I saw a couple of pieces I would love to own (an owl necklace comes to mind!). 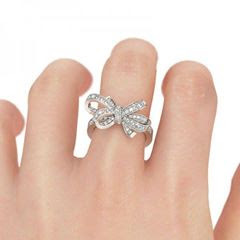 You really should read on then go browse the website--the come back and enter--this is one beautiful ring--and even better--you can choose the size you need. I am hitting the red carpet this weekend so I had to find some amazing bling! 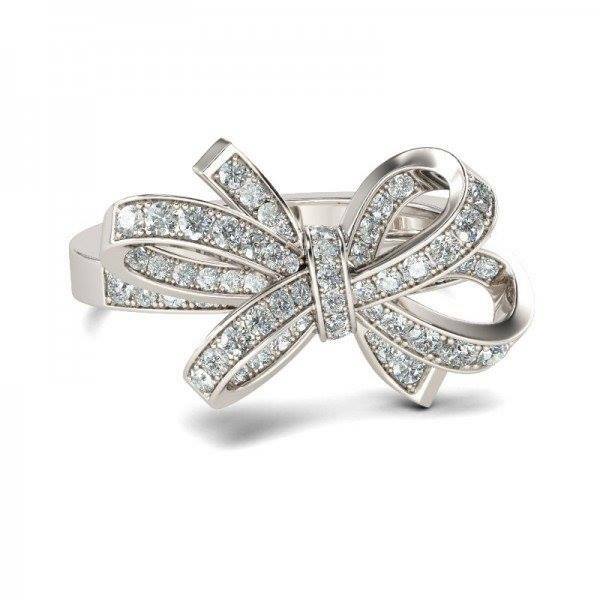 The Jeulia Bowknot Round Cut Created White Sapphire Promise Ring totally fit the bill and I love how it sparkles in the light. I've received so many compliments on it and can't wait to have it sparkle and shine on the red carpet. The more I look Jeulia's site the more jewelry I find that I need. They have a unique selection of rings, necklaces, and bracelets with something for everyone. I love that they stay current with fashion and that their prices are really affordable. 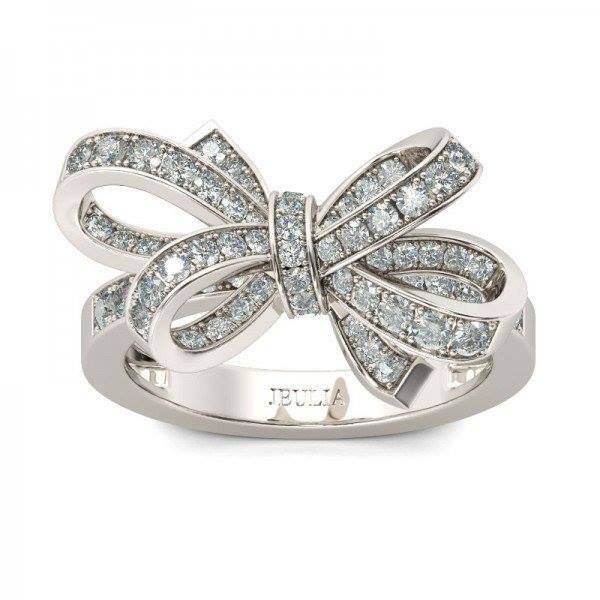 The amazing people at Jeulia are even giving one of my readers their own Bowknot Round Cut Created White Sapphire Promise Ring. All you have to do is enter on the rafflecopter below. *Giveaway is open world wide and ends on June 12th at 11:59pm CST. Good luck!
) will be contacted by email. Winner(s) have 24 hours to respond before a new winner is chosen. No purchase necessary. Void where prohibited by law. The sponsor(s) will be responsible for product shipment to winner(s) of this giveaway. My blog is not responsible for product shipment/delivery. This event is in no way administered, sponsored, or endorsed by, or associated with, Facebook and/or Twitter, Google, Pinterest. This disclosure is done in accordance with the Federal Trade Commission 10 CFR, Part 255 Guides Concerning the Use of Endorsements and Testimonials in Advertising. I recived an entry in the giveaway form for helping to promote this giveaway. All opinions expressed are my own honest opinions. For more information please check my Disclosure Statement. Our giveaways are in no way sponsored or promoted by Facebook. Jeulia Two Skull Design Round Cut Created Amethyst Skull Ring is definitely hot! Jeulia Bypass Round Cut Created White Sapphire Engagement Ring , is so pretty. I really like the Jeulia Milgrain Halo Round Cut Created White Sapphire Wedding Set! I really liked the Jeulia Two Tone Infinity Round Cut Created White Sapphire Women's Wedding Band. So gorgeous! O my ... Just take my breath away. I am a girl with glitter in her veins to :) I looked at the site and I just lost my breath. The wedding sets are gorgeous. I pray one day I get a man that's smart enough to buy me a ring from that site. I couldn't say no to that. But who could?